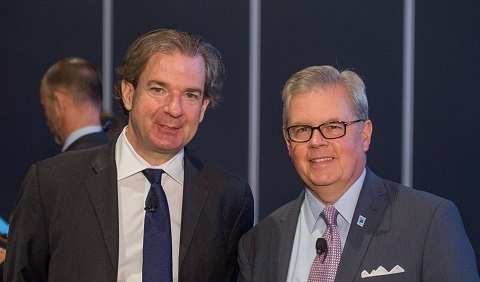 After a deep and thought-provoking keynote address by CNN National Security Analyst Peter Bergen, General Session II attendees were able to witness a great man receiving ACI-NA’s most prestigious award. 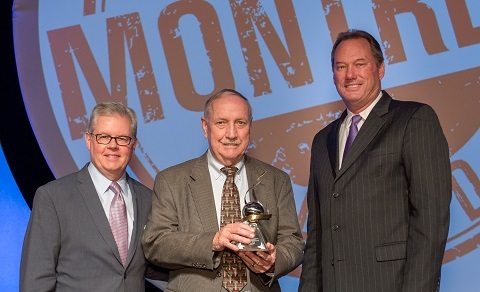 Louis E. Miller is this year’s recipient of the William E. Downes Jr. Memorial Award, awarded for his outstanding leadership and action in the cause of airport or aviation management. The award was presented by Bill Vanecek, Chair of ACI-NA. Mr. Louis Miller took the stage amid much applause to accept his award, and no one was more deserving than him. 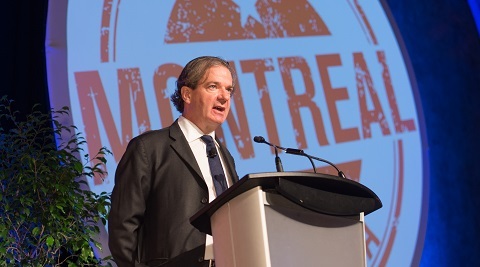 On behalf of Aéroports de Montréal, President and CEO Jim Cherry accepted the 2016 Host Airport Award during the ACI-NA membership meeting at the 2016 ACI-NA/World Annual Conference. "Does it really matter which bottom line?" Romesh Bhoyroo, CEO, Sir Seewoosagur Ramgoolam International Airport Mauritius began the session by posing this question to attendees. Running a modern airport is no easy task, as they are very complex in an already competitive market. One of the most important objectives for an airport is to satisfy its customers, which leads to more revenue. 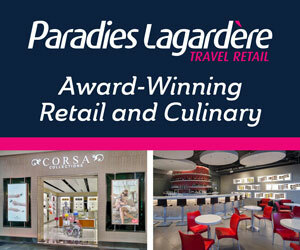 However, the first step toward passenger satisfaction is to understand their wants and needs. Each of the panelists from this session represented very different airports, but all of them agreed that data mining is a key element of passenger satisfaction. Tampa International Airport was the first airport to add a people mover for passengers over forty years ago, as a result of finding out how little customers like to walk. It is quite a challenge to provide the same experience for travelers that they receive at large hubs like Dubai International Airport or Charles de Gaulle Airport, at small airports. Panelist Romesh Bhoyroo can attest to that. Small airports may not have as much to offer passengers as large airports do, but they can manage to keep them happy. One way Sir Seewoosagur Ramgoolam International Airport is able to keep its customers happy, is by utilizing its Outstanding Passenger Service Excellence program that pushes airport personnel to go above and beyond to satisfy customers. The human touch can go a long way when it comes to finding out what customers want and need, especially as passenger behavior continues to change. Panelists Joyce Carter, President and CEO, Halifax International Airport Authority, Romesh Bhoyroo, and Joe Lopano, CEO of Tampa International Airport, understand the importance of gathering data in order to better understand passengers. They each spoke a lot about the use of surveys to help with information gathering. Simple questions such as age, gender, and income can make a difference in a customer’s happiness. Passengers are the life blood of an airport; therefore, their satisfaction is vital to an airport’s overall success. A lack of cooperation between people on the ground and people in the towers can cause fatalities, said Moderator Bongani Maseko, CEO, Airports Company South Africa, at the Breaking Down the Silos on Safety session. "At one time, we did not talk directly to pilots." They were known as the invisible partners, he said. Thankfully, things have changed and now we all try to work together in this congested space. But, making the merge isn’t easy. 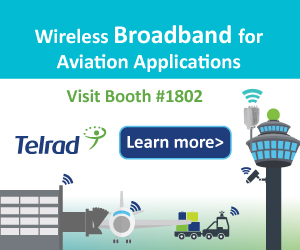 Rob Eagles, Director Air Traffic Management, IATA, said, "I think we’ll all agree that we do have silos in our industry.... But, it is absolutely critical that we learn to work together as stakeholders. And we have to be careful not to add new silos." Eagles specifically addressed the risks associated with RPAS/UAS/drones, stressing the need to address safety risks related to "irresponsible users." Andrella Kenner, Founder & President, CI2 Aviation, talked about runway safety. "A failure to deliver safe runway operations is almost always catastrophic," she said. She stressed the importance of situational awareness and having a checklist every day. Dirk Geukens, Senior Safety Expert, Brussels Airport, discussed apron safety collaboration. "Most of the damages to aircraft are when they are parked and handling activities are going on," he explained. Coordination is very important in these busy, congested areas. One of the ways they addressed this? Safety Committees. "One of the major pillars of a safety management program is having safety committees," he said. They have an apron safety committee called BRUTuS (BRUssels Turnaround Safety TF) that has the objective of analyzing and documenting every apron operation. Eduardo Angeles, Associate Administrator of Airports, FAA, commented on the discussion points brought up by the other panel speakers, as well as gave a summary of some of the items on the FAA "to do" and "done" lists. He explained that UAS was a number one issue around the world at the moment. Also, "We did a runway safety program... that was extremely successful" and took place over 15 years. And, they are in the process of "investing a lot of money into about what causes runway incursion and mitigation." "None of us can do the job of effective security by ourselves," said Vera Adams, Director, Director, Aviation Division, Office of Security Policy and Industry Engagement, TSA. "We have to work in a very integrated fashion." During the Respond to New and Emerging Security Threats session moderated by William Vanecek, Director of Aviation, Niagara Frontier Transportation Authority, many such valuable suggestions such as this were shared by the panelists. Adams stressed the importance of having security policies that could be implemented, were practical and were going to be effective. She also brought up the need to have complementary programs, ones that weren’t "at odds with each other, or we run risk of being ineffective and inefficient." Adams touched on ideas currently being used, or in the works, as well. She encouraged everyone to sign up for the Rap Back program, which is a "perpetual vetting process for employees." And, she definitely encourages the use of biometrics. "Biometrics are a really good upgrade for access controls." Neil Perry, Vice President, Service Delivery, CATSA, explained that all organizations manage risk and some assess threats - threat of completion, threat of market fluctuations, etc. We break down physical threats, aviation security and explosive threats, he said. "We don’t do it alone, however. There are partnerships." He said that to assess the risk of threats, "you rely on intelligence." Once they have all the information, you have to analyze it. The CATSA Threat Detection Baseline defines minimum threat detection standards, focuses on historical and current trends, and is adjusted, as necessary. "New ones come along, but we can’t stop looking at the old ones either," he explained. This important aspect was reinforced by Jim Marriot, Aviation Security at ICAO. "It is very tempting to be attracted to the new emerging threats and forget about the previous ones," he said. "Threats don’t go away. They’ve been successful in the past, they’ll be tried again. It is not a list of threats where you add a new one and then you take one off." He said the challenge that ICAO has "is like the challenge you have at your airport. We have a lot of different players that need to be organized and aligned to achieve results." And there has been strong progress made recently. The first-ever Global Aviation Security Plan is being proposed at ICAO. "It will be a priority," he said. And, last week, the United Nations adopted an aviation security program (available on the Security Council website). This is another validating example of the fact that there is now "a strong rudder guiding aviation security." Just because you're at a conference doesn't mean the world stops. This section will feature the latest industry news so you don't miss a beat while networking with old friends and new connections. 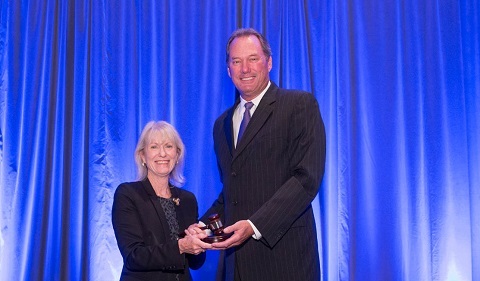 Airports Council International - North America (ACI-NA) announced yesterday that William (Bill) Vanecek, Director of Aviation at Buffalo Niagara International Airport, assumed the chair position for the organization’s Board of Directors from outgoing Chair Maureen Riley, Executive Director of Salt Lake City Department of Airports. 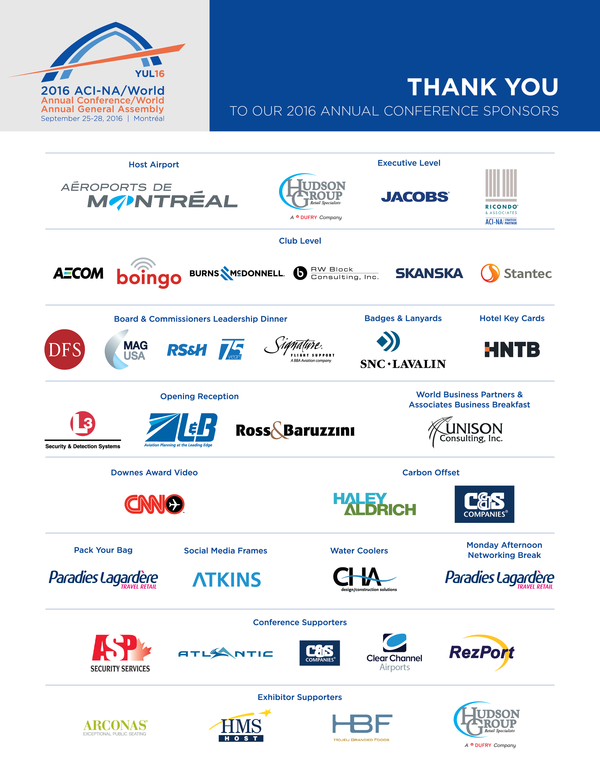 The change in leadership happened during a special reception on Tuesday, September 27, 2016, at the ACI-NA/World Annual Conference and World Annual General Assembly in Montréal. 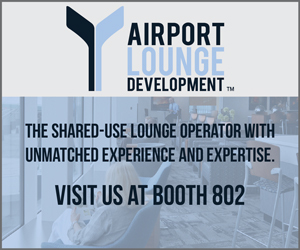 "ACI-NA has an ability to bring together the industry to find common sense solutions to challenges we face as airport operators," said Vanecek. 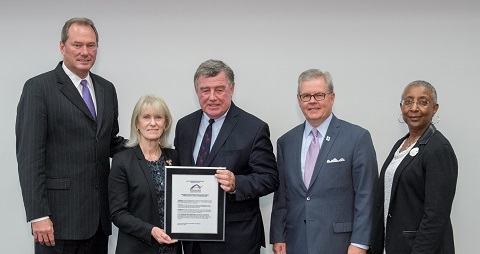 "As the next chair of ACI-NA, I am looking forward to working alongside airport leaders to advance important airport priorities in Washington and Ottawa."